Looking for a Unique Business Meeting Venue? Shadowland on Silver Beach is a Great Conference and Event Center! Engage with your clients, co-workers and contemporaries in a new and exciting space. 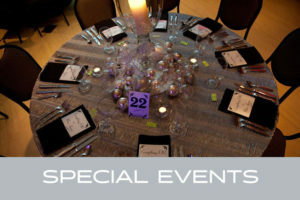 Your guests won’t feel like it’s just another business meeting – it will be an event they want to attend! Planning an industry conference or your annual fundraiser is a big undertaking, but picking the right location makes it all come together easily. 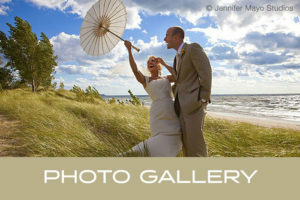 Treat your guests and business connections to a unique experience along the shore of Lake Michigan! Whether you are looking for a creative place to brainstorm with a small team or a large room to energize a few hundred people, Shadowland is the right venue. Our flexible space adapts easily to your needs. You’ll have access to the presentation equipment you need, including AV hookups, 13’ screens for videos and presentations and an induction loop to keep everyone in the know. Our staff is ready to help, from planning the details to making sure your event goes off without a hitch. No other business meeting and event venue in Southwestern Michigan is as refreshing and invigorating as Shadowland. Shadowland’s catering kitchen is designed to efficiently handle your guests’ hunger from morning through evening. 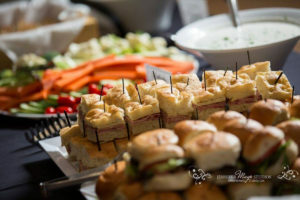 To simplify your arrangements, our in-house caterer will prepare and serve everything from a breakfast buffet to deli sandwiches to appetizers to a plated dinner. With gluten-free, vegan and other options available for those with dietary restrictions, everyone can enjoy the 5-star cuisine from Shadowland Catering. Our liquor license also allows you to provide a variety of beverages for your attendees, from soda and house beer and wine to local options, made right here in Southwest Michigan. Just a few steps away, you can walk along the shores of Lake Michigan to recharge. Across the street from Shadowland, you can enjoy the interactive Whirlpool Compass Fountain, or walk up the stairs to the bluff. Stroll through the tree-lined sculpture park overlooking the lake and St. Joseph River or enjoy the shops and dining in St. Joseph’s quaint downtown. Silver Beach’s soft sand, glistening water and view of St. Joseph’s picturesque lighthouse and piers make it a favorite destination four seasons of the year. In fact, Parents magazine named Silver Beach one of the top 10 family beaches in the U.S.
After a hard day of work, enjoy a round of golf at Harbor Shores (a Jack Nicklaus Signature Golf Course) or a number of other challenging courses that are just minutes away. Take the team on a chartered fishing excursion on the river or lake and revel in the thrill of reeling in perch, lake trout and salmon. And of course, don’t forget to visit a nearby winery or two. Many offer tours and tastings of some of the country’s finest vintages. And don’t be afraid to bring the kids along! 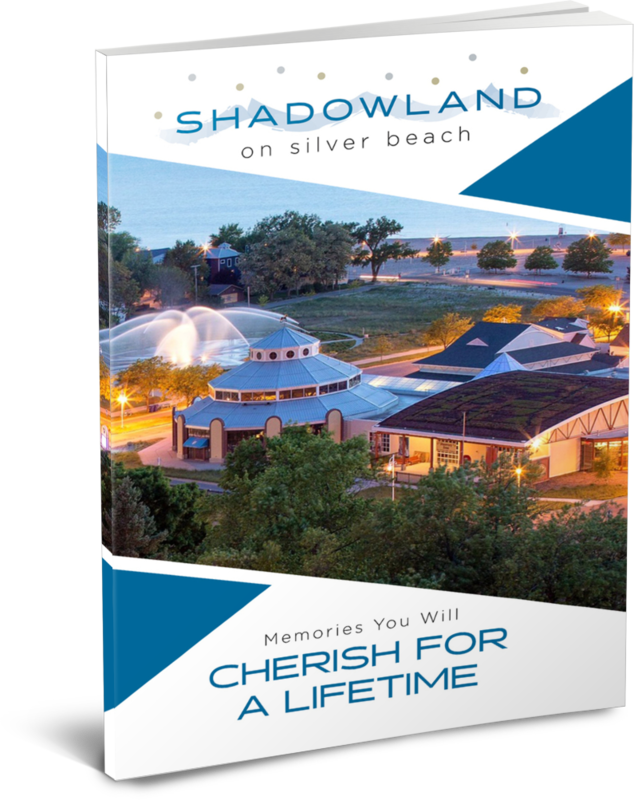 Shadowland is part of the Silver Beach Center. Across the boardwalk from your meeting space, you can rent the entire Silver Beach Carousel with its 48 hand-carved figures and two chariots. Every ride is magical – and fun for all ages! You and your guests can gaze up at Michigan’s tallest kaleidoscope, explore the Silver Beach Amusement Park Museum exhibits or play and learn at Curious Kids’ Discovery Zone with its 15 water exhibits, virtual reality entertainment, climbing wall and traveling exhibits that delight everyone from toddlers to adults (yes, teens, too!). Located just below the bluff in downtown St. Joseph, MI, Shadowland on Silver Beach is easily accessible from I-94 Exits 23 or 33. It’s next to the Amtrak® train station, and downtown hotels are within walking distance. Downtown St. Joseph itself is a great experience for guests whether they are just visiting for the day or have extended your event into a vacation. 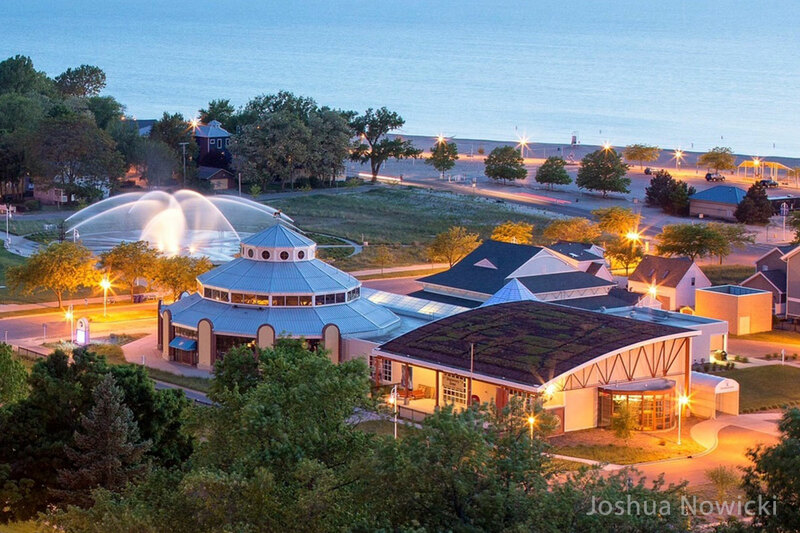 With great restaurants, breweries, wineries, quaint shops and, of course, top-tier beaches, St. Joseph is an excellent location to host your business meeting. Ready to reserve our venue for your next business meeting? Let us know how we can help! From ceremony to reception, we have you covered. 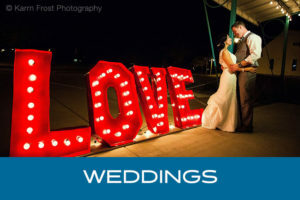 Explore all that Shadowland has to offer couples on their special day. 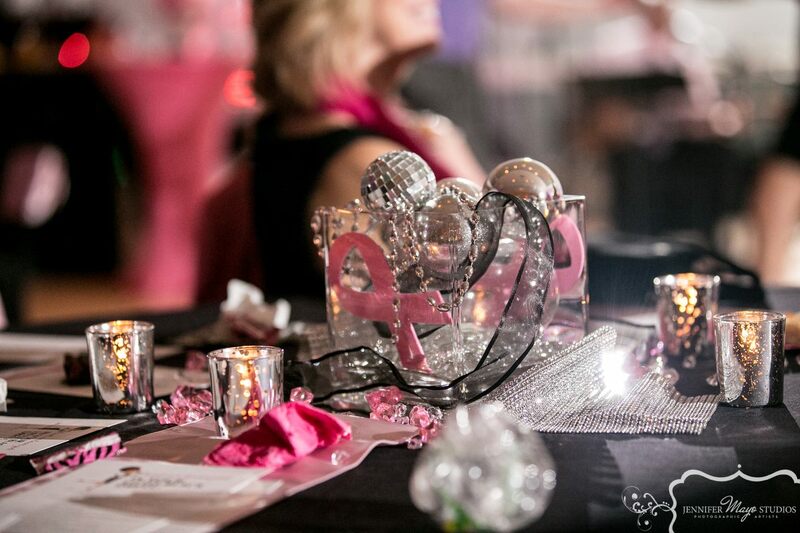 Whether you are hosting a fundraiser or planning a conference, Shadowland is the right venue to help your team work hard and play hard. See the possibilities come to life at Shadowland, from beach weddings to family gatherings to business conferences.